2017 is the year of the Rooster/Phoenix. Because it brings opportunities for rebirth and transformation. It is a universal 1 year. The phoenix is brilliant and inspirational and a fearless visionary. Fire brings strength, passion, bravery, and leadership. This is your year to break free and claim your destiny. You will be able to overcome a multitude of obstacles. Healing past lives, past years, with new perspectives and awareness. The Phoenix is a clear thinker that benefits from higher knowledge and wisdom in matters of romance, loyalty, and honor which surrounds this year. Be in truth in all circumstances. Being independent even while in relationships is a must. Allow yourself to be unstoppable. This year will spread an enormous amount of light on to our planet. Ride the light, grow, let love be your guide. Forgiveness to move into compassion. Numerically speaking we will be starting a Universal 1 year as of January 2017. Finally finishing up a 10-year cycle. The 1 year presents new growth and opportunities. We are all praying for change. Hopefully this change will create faith, trust, in our world as we know it. Standing on your own two feet becoming clear about what you bring to this world is an important factor in this 1. In order, to have community we must know how to blend our personal view into a collective consciousness. Let’s all pray for peace as we move forward. 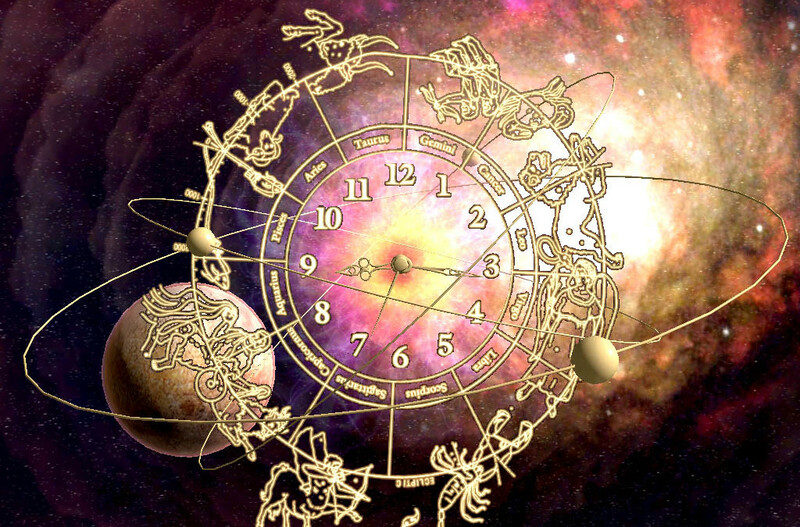 This Astrology reading is a 2017 overview for each sign. If you would like to better understand your path in the coming year, please contact me to schedule a personal reading. Aries This year there will be ample activating energy that will grow your understanding of relationships. How do you see yourself in relationship to others? Do you trust the process of relating? Will you welcome love into your life? You are ready now. Intimacy … ahhh … a big word for your year. Remember (in-to-me-see). Let others know you. Aries you have so much to offer without giving up your freedom. There is an educational opportunity coming your way. Could be very advantageous. Philosophical studies are on the rise, teaching and publishing is part of this as well. Finding your passion will show up this year be prepared. Pisces This year it is time to open your heart to a new way of love. The spring Venus retrogrades will teach you how to allow yourself to truly feel. In April, you will have an enormous opportunity for self-reflection, self-forgiveness, healing and mending self-image issues. (Change of hair, diet/nutrition, or something relating to your image.) Cleansing and detoxing the body you will restore your health and help create new healthy boundaries. Remember this year is about you not others (not your job). Be compassionate but do not do the work for them. Creating healthy boundaries is what this year highlights. About your work arena you will shine … YAY you … finally getting acknowledged for all you do. You will enter a financial partnership with someone that will ultimately work out to your benefit. Knowing when to give and when to receive is highlighted this entire year. Good luck and fortune will enter will Jupiter in your chart. Much expansion and growth. Move from fear to faith. The universe has your back. Taurus The beginning of 2017 sets you up for a life review. Your ruling planet Venus will retrograde from April 4th-May 15th. It will ask you to look deeper into your nature of what goes on behind the scenes. Your deeper motives, subconscious fears, and flaws are all projects that have been incubating and demands your attention. A major boom in your work arena “Your empire awaits you”. Focusing on your hard work will lead you to success. Pay attention to your relationships that will help your career the most. Explore trust and your intuitive side. Develop your own way to do business. Recreate a world filled with peace, love and justice. Pay attention to the balance in your life. Get grounded and breathe. Gemini Oh you Gemini … you are up for any new experiences, you are always ready to go in new directions. YAY you. Since 2015 when Saturn moved into your 7th house of intimate relationships (fear of commitment) but commitment does not mean a lack of options. Relationships may be challenging but they are the best for helping you face your fears and may be the very thing you need for inspiration to access your inner resources of resilience. Venus is retrograde through your 11th house of friends, social circles and communities. And, 2 eclipses take place in your 3rd house of communication, neighbors, siblings, those that feel like your brothers and sisters. This year has so much to teach you about relationships of all kinds. Creativity, play, love and romance are on your agenda for most of 2017. Living joyfully can sometimes be the greatest rebellion that you can take part in. Lots of inspiration, creativity in your work arena. You have an incredible powerful passion for living. Start feeling the sun on your face and live. Cancer Creative domestic bliss is not only your forte, it is your cosmic jam. Your family grows this year. Your home life because your source of abundance. Your inner life gets good as well. Money, employment and career house is a major focus of 2017. This year 2 eclipses in your 2nd house of finances and security plus property gain (purchasing a home, a move, etc.) … how you spend it is totally up to you. Saturn is finishing up a stint in your 6th house that started in 2015 and has hopefully helped you to make strides in a new health regime. Recreate the rules of employment to support freedom for all. Notoriety in the public eye what an exciting year. Dream big with most of all follow through. Creating investments pay off. Have a great year! Leo All you sunny people of Leo are our comic relief teachers. Helping us to make art from grief and illuminate our beliefs artistically. 2017 gives us 2 eclipses … February 11th and August 7th. These will act as an accelerator to bring a tremendous amount of clarity of what to let go of and what to move towards. Eclipses shed light on our entire life and what is illuminated might inspire, ignite or cheer us on to a long awaited life direction. Be bold … you don’t have to prove anything to anyone but yourself. Free time will be limited so choose it wisely. Stay focused and consistent and most of all be true to yourself and your vision. Be vigilant on keeping your eyes on the prize. Communications get a great boost this year. Books, manuals, websites, articles, etc. You will grow at a rapid speed. Connect more with spirit and the divine. Take yourself seriously and consider a course of study to help you understand spiritual practice in greater details. Knowledge will truly help you this year. Be conscious and stay connected. Virgo Working overtime, thinking, digesting and detailing. Mix a sense of humor in all that you do and you will be unstoppable. 2016 forced major growth. If you were lucky that included many belly laughs and experiences to receive a better sense of humor and a new level of your potential. Now is the time to let those gifts support you. Expansive Jupiter will bring wealth and opportunity for most of 2017 and you will finally understand your god given assets. Bring your inner light out into the world, shared resources and finances will grow this year. A boost of creative energy takes form. Stop comparing yourself to others. You stand high on your own. This year is a great time to ground and clear childhood traumas find an unshakable sense of home. 2017 is a year you will be so grateful for … finally. Libra As Venus goes retrograde early in 2017 you will be re-evaluating yourself and all past and present relationships. Then Jupiter hits you. YAY. Expansion in all ways. You will recognize how you have changed. There is no need for your old self. Exciting changes are on your horizons. People, places, and things that are meant to stay will remain and you will know who are really your friends. Get ready to truly be in the lime light. So excited for you Libras you have had it rough. Remember to breathe for life goes on. Scorpio Amazing insights will allow you to go up against anyone. Something sweet is going to be on the scene for you. Sweeter yet harder to get a hold of. Scorpios are emerging inside and exploding outwards. A time for “quiet faith”. Remember happiness is an inside job. All of the attention to your inner work as most important as your career sector reboots from 2 out of 4 eclipses in 2017. This is surely to bring rapid growth. Consider what you want to move fast, and most of all be clear. Be able to move quickly and at a moments notice. Investing in your future is key. Think ahead. You must live your dreams in ways to make other things worth while. It is a win-win situation. This year you will grow. That is for sure. Not that you haven’t grown in the last 3 years. Continue to be true to yourself at all times. And, know you are ready to move. Sagittarius Get ready to roam and experience new ways to express freedom. You have been held back since 2015 and been faced with making many decisions for Saturn has been in your sign. It is teaching you dedication and sturdiness. Stay committed to your dreams. Saturn sticks around in your sign until December of 2017. The good news is it will not return for another 30 years. Pace yourself. You will be rebuilding a better your. By the end of the cycle you will truly know what you can do. Meeting new people, good fortune, etc. Finding people and friends that resonate with you energetically lets everyone see what and who you are. This year it is time for you to step up to the plate Sag. Capricorn Remember … needing a little solitude is not a bad thing. You will receive much help from Jupiter’s transit through your work and career sector in 2017 in the 10th house. You will be in the public eye, with your career and reputation for most of this year. Ask yourself these questions … what do you want to be known for? What if anything, can a little fame help to attain? Capricorns have been under the greatest reconstruction of their life time with worldly success being less appealing than it used to be in the past. Now the deeper meaning is what is important. Venus retrograde which will be in your 4th house (private life and family.) Place your attention to working out your inner life to match your outer life. This can create much frustration. Continue to reach for balance always. Do not cling to the past or childhood thoughts … these can set you back. Seek the new you and freedom from self-limiting thoughts. Build something worthy of who you are. Build something your ancestors could smile down upon. Breathe. Seek Peace. And be who you are. Aquarius 2017 here we find the truth seekers. This year will help you expound upon your visionary ways to provide experiences that will broaden your horizons. Seeing the world with clearer eyes to see relationships with a new perspective. This year exposes you to many new experiences and pilgrimages, will help you to develop ways to relating to knowledge new teachers teaching and justice. Main highlights. New spiritual and philosophical pursuits Life speeds up tremendously. Leadership roles in your community is an important piece of your development especially in the fall of 2017. Enjoy your year and know that many changes are abound. They will bring much growth to you sweet Aquarius. YAT you!